As the delights of summer abound - from the simply sweet taste of succulent strawberries and frothy peaks of sumptuous meringue to sun-filled days filled with outdoor festivities and activities that you love - it is the perfect time to treat yourself. As you engage your senses in all things summer, create a delightfully playful look to accompany your lighthearted mood with Estèe Lauder's newest Pure Color Delight color collection. Inspired by the deliciously creamy, playful and irresistibly rich scent of Estèe Lauder's pleasures delight fragrance, this refreshingly inviting color collection delivers a summer look that says pure enjoyment. The Pure Color Delight collection includes five new looks - Berry, Candy, Mint, Vanilla and Honey - that play on the floral, gourmand, confectionary blend of pleasures delight for a collection of summer looks that is at once colorful and playful. Jump in with both feet into a pool of five delectable looks that complement summer's sweetly soft shades and delightful treats. Following application of the artfully-crafted Pure Color Delight Shimmer Powder for face, choose from an array of mouth-watering glosses, luxurious lipsticks, luscious eyeshadows and delectable nail lacquers to create your own playful summer look. 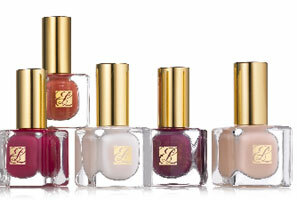 Estèe Lauder's Pure Color Delight color collection is available at Estèe Lauder counters nationwide.